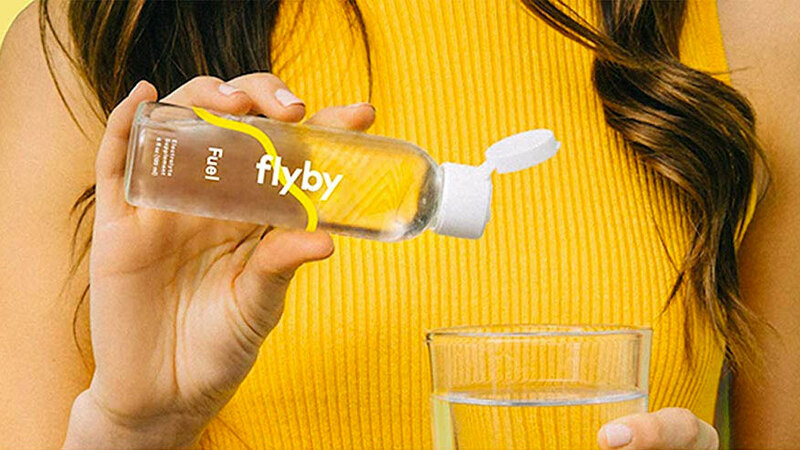 Flyby adds some Fuel to its rough-night-recovery efforts with a 100% natural electrolyte concentrate that delivers rapid hydration to the cells of ye with hangovers, plus the health-conscious who are more disciplined with their drinking, but still feel dehydrated after a sweat-soaked workout or bout of keto flu. 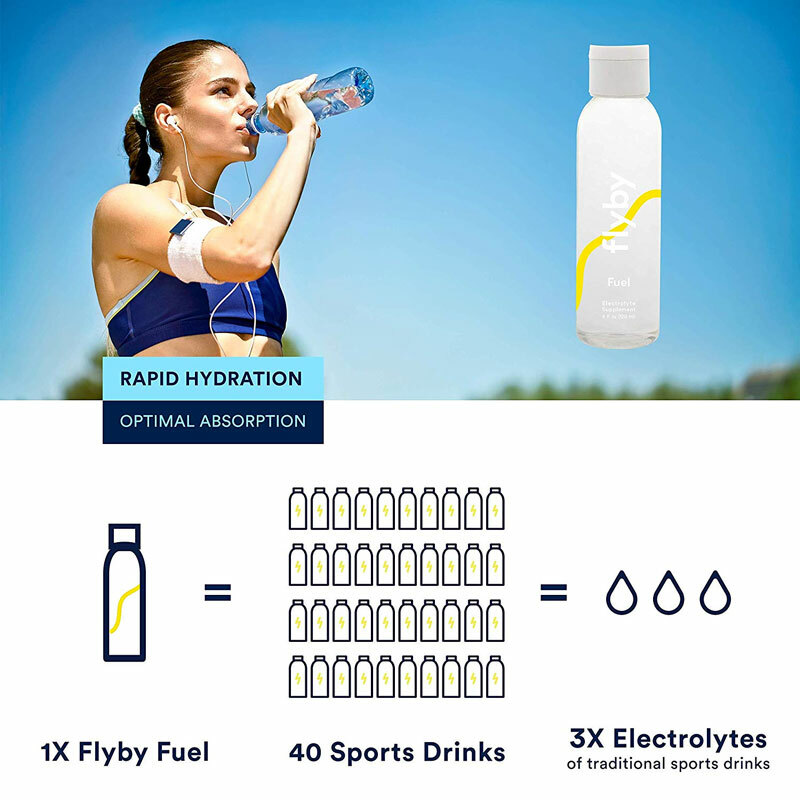 Unlike Gatorade and Pedialyte, Flyby Fuel is an electrolyte supplement free of everything but the ingredients intended to rehydrate your body. That means no sugar, artificial colors / flavor, or calories. Electrolyte contents include magnesium, sodium, chloride, potassium, and sulfate, all sourced from Utah's Great Salt Lake. Flyby Fuel also contains the trace mineral zinc, for its supposed immune system-boosting and antioxidant properties. To fill up on Flyby Fuel, add about 40 drops to 32 ounces of cold water, with a squeeze of lemon or lime if you like, and voila: instant sports drink. 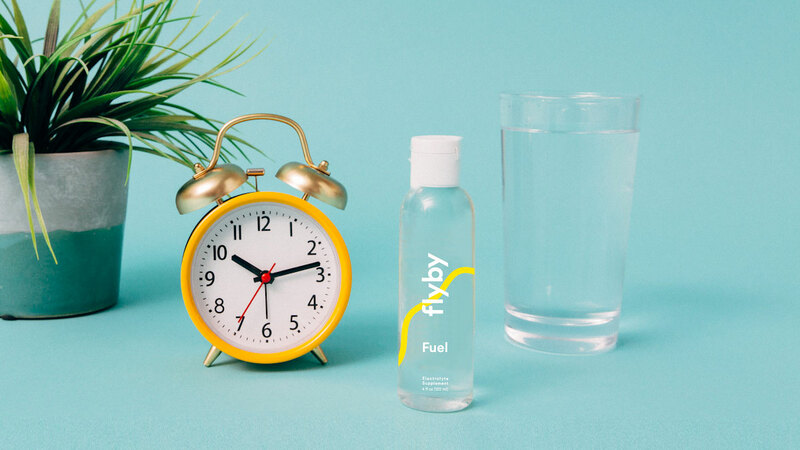 As I said, if your dehydration is a result of too much liquor the night before, Flyby Fuel can assist with the other hangover cures you're using to bring your body back to equilibrium. The same is true for those dehydrated from intense exercise, those whose electrolytes are depleted from following the ketogenic diet, or those who ate a bad oyster yesterday and now feel like they've forcefully ejected every ounce of liquid out of their body through at least 3 different orifices.